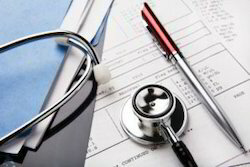 Medical Translations is highly critical and requires expertise. Thus it is important that anybody attempting medical translation must be qualified and adept with medical terminology, such as doctors or bio-medical engineers. Since lives are at stake, thus any delay, error or poor communication can result in serious problems. Healthcare translation is a highly specialized language service. In-depth professional knowledge is required to ensure accuracy and timely delivery. Translation is the transfer of meaning of written text from one language to another. Our translation services extend worldwide. Medical Translation is used in the field of Medical. Medical translation is the translate of technical, regulatory, experimental or marketing documentation, software or training syllabus for the pharmaceutical, health check device or healthcare fields. Medical translations is the translation of technical, regulatory, clinical or marketing documentation, software or training curriculum for the pharmaceutical, medical device or healthcare fields. Medical translation is the translation of technical, regulatory, clinical or marketing documentation, software or training curriculum for the pharmaceutical, medical device or healthcare fields. Aside from linguistic skills, it requires specific training and subject matter knowledge in order to translate medical content. We have been doing such Translation for Pharmaceutical companies, Clinical research organizations, Biotechnology firms, Hospitals, Clinical researchers, Manufacturers of medical and surgical devices, Biotech companies, Health care companies, etc. We have been doing Translation for the clinical research documents for various medical institutes/agencies.